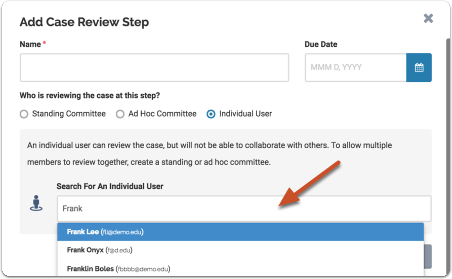 In Interfolio Review, Promotion & Tenure, Administrators can set up a workflow of case review steps matching the stages of review at your institution. 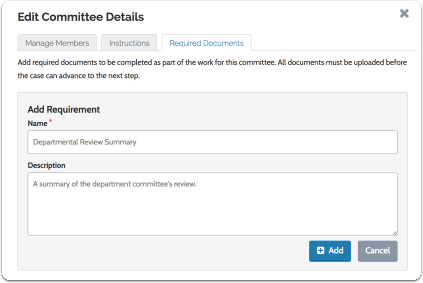 Multiple committees or individuals can be granted access to a case at each review step. 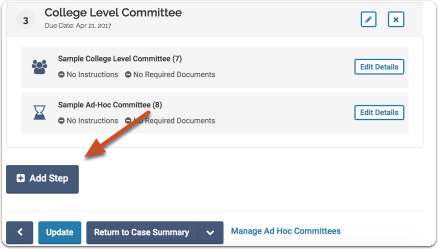 Case review steps are generally set up when creating a template for new cases, when creating a case from a template, or when creating a new case from scratch. 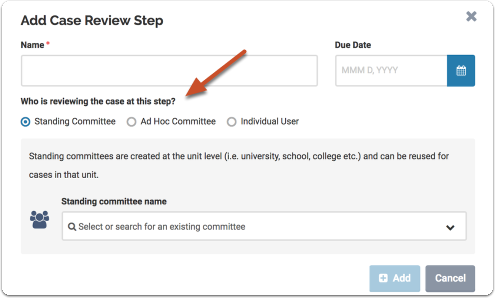 This article describes how to create case review steps when creating a template or case. 1. 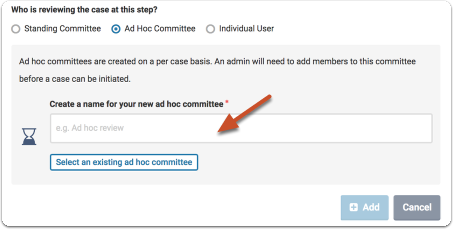 Scroll to the bottom of the "Template Review Steps" or "Case Review Steps" page and click "Add Step"
You can add a standing committee, ad hoc committee, or an individual user. 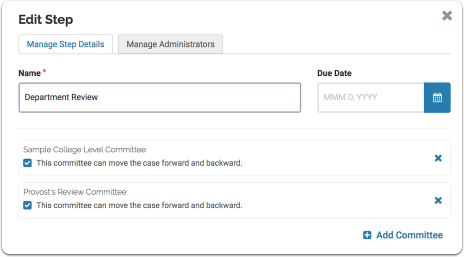 Administrators can set up committee document requirements that require a committee to submit one or more documents before a case can be moved forward to the next step in a workflow. 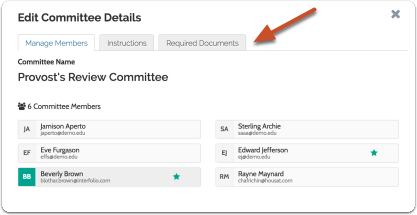 See here for more information on setting up committee document requirements. 3. Click "Add Required Document"